According to Eurohoops sources, the Milwaukee Bucks, the team that drafted an other Greek, Giannis Antetokounmpo, and the New Orleans Pelicans are negotiating with Euroleague’s rising star award winner and Houston in order to sign him. Rockets currently own the NBA rights of the player, who was drafted last summer by the Knicks and then was traded to Portland. Bucks and Pelicans are more than interested on him, they are trying to get his rights and they are also aware of the fact that they have until Monday to pay Olympiacos in order to buy out Pap’s contract. The buy out of his contract is 1 million USD. According to the latest CBA, NBA teams can pay up to 545.000 dollars and the rest will be paid by the player. 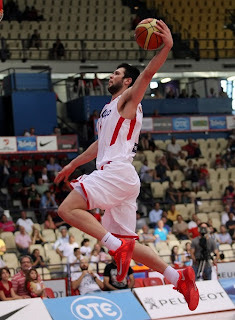 However, the clock is ticking, there are just three days left before the buy out deadline expires in Papanikolaou’s contract with the Euroleague champions and if an NBA team wants to get him this summer, they have to move really quickly.